It shall be the Mission of the Jackson County Sheriff’s Office, Corrections Division to protect the community by maintaining the safety, security, order, discipline and Constitutional rights of incarcerated persons in the correctional facility. The mission shall be accomplished with professionalism and teamwork. We value the public trust given to us and will strive to enhance the reputation of the Jackson County Sheriff’s Office as the County’s premier law enforcement agency. The Jackson County Jail was built in 1981, and can house up to 292 male and female inmates. 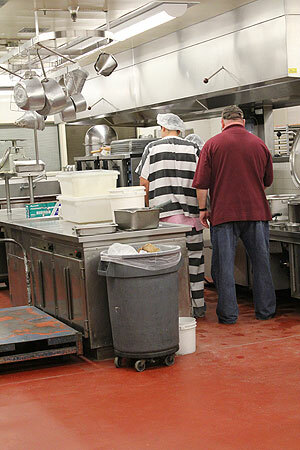 The jail has its own kitchen, which is staffed by inmate workers and supervised by a civilian cook. Laundry is done by inmate workers as well. There are indoor and outdoor recreation areas, and the jail has a well-stocked library. There is also a modest law library for inmate use. The medical station includes registered nurses, doctors, a dental chair, equipment, and mental health officials. The jail also has a contract with a local dentist for services. Jackson County is 2,801 square miles, and is home to about 205,000 people. Some of the larger cities include Medford, Ashland and Central Point. The county is also home to many smaller cities such as Talent, Shady Cove, Phoenix, Rogue River, Prospect and Jacksonville. The Jackson County Jail serves all law enforcement agencies in the area, and the Corrections Division employs an average of 70 full-time employees. This includes deputies and support staff.